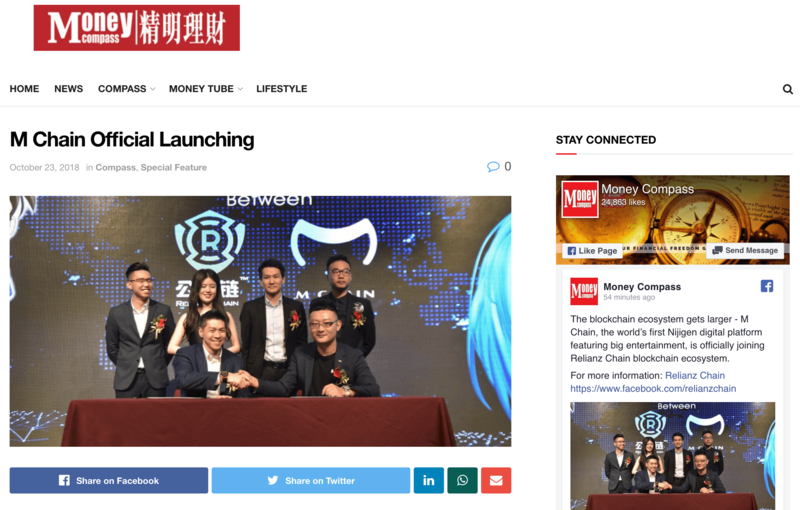 M Chain is an exchange platform for Nijigen IP digital assets based on blockchain technology, and the ultimate system to integrate all business activities in Nijigen industry, dedicated to creating core network ecological closed-loop with the core target of maximizing Nijigen IP value. 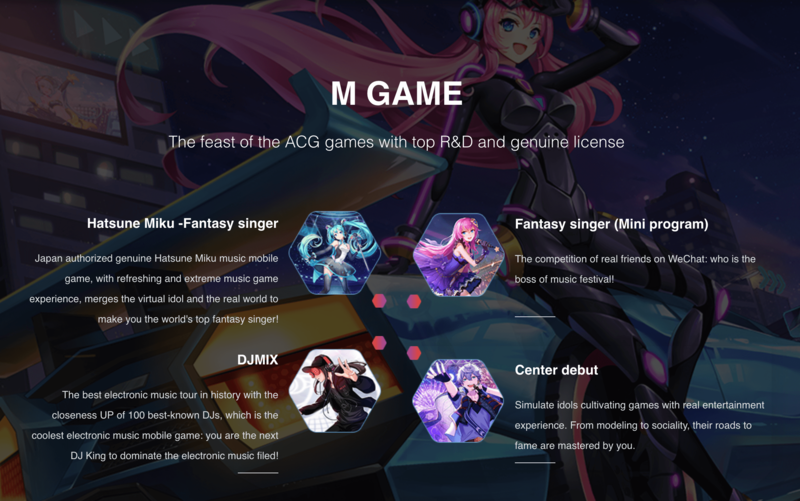 M Chain ecology includes five sections: M copyright transaction platform, Jigen pocket, M GAME, M fan foundation and M offline commerce. M Token is the universal equivalent on the entire M Chain ecological network. Nijigen IP assets are digitalized through M Token. 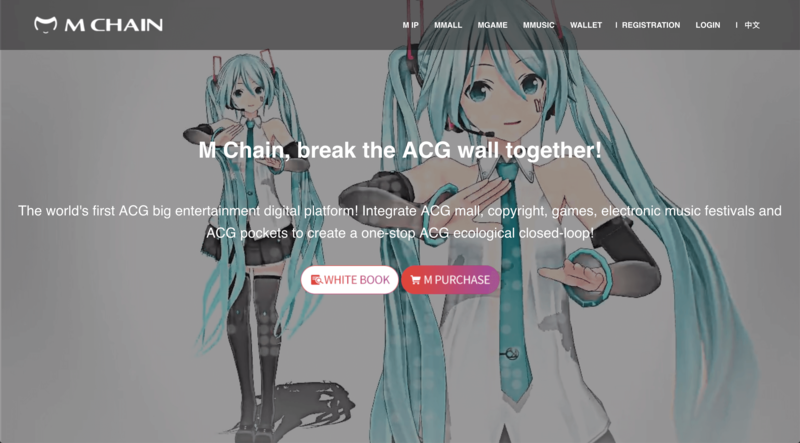 Exchange executed by smart contract will be applied to each scenario in M Chain ecology. 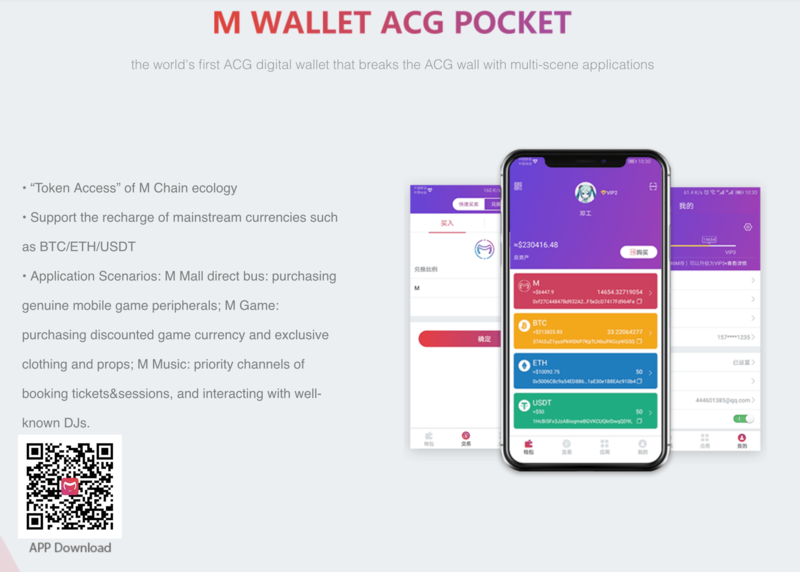 M Token is also the connector for series connection of five sections to realize M Chain ecological circle closed-loop. Jigen pocket will be used as the "token access" of M Chain ecology, i.e., all community users will obtain M Token used to participate in M Chain elongation construction through Jigen pocket. As the cornerstone of M Chain ecology, M copyright transaction platform includes copyright registration platform, IP assets transaction platform and M Mall. 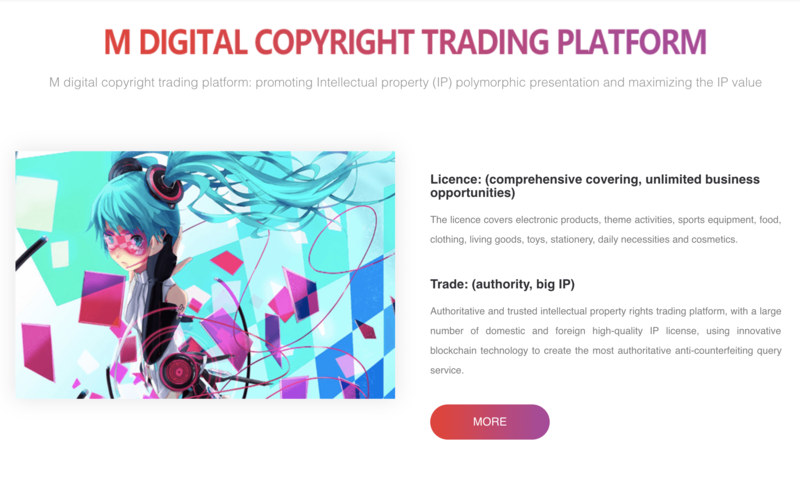 The copyright registration platform is the "IP protector" which protects all Nijigen IPs from violation via blockchain technology; IP assets transaction platform provides a circulation platform for digitalized IP assets; M Mall, designed to be the "Little Red Book" in Nijigen industry, is an online transaction platform for IP derivatives. 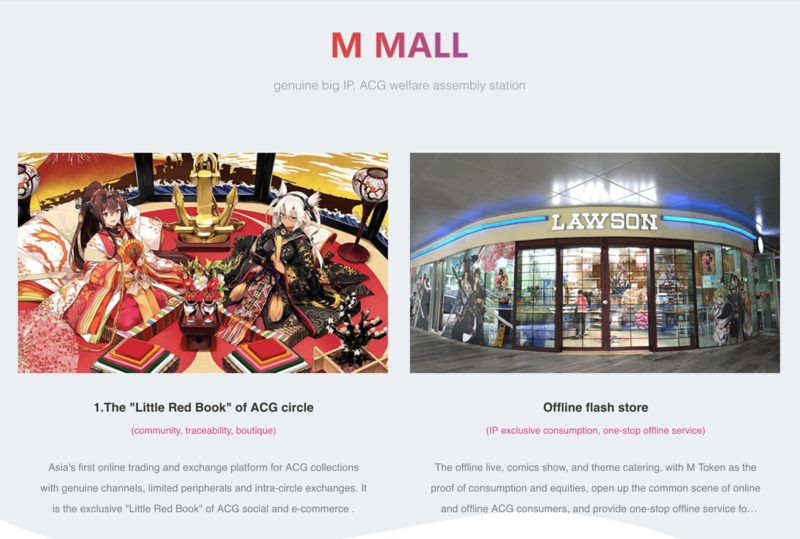 M copyright transaction platform together with M GAME and M offline commerce constitute business ecosystem of M Chain, providing users with all-round Nijigen service including online service, offline service and peripherals. 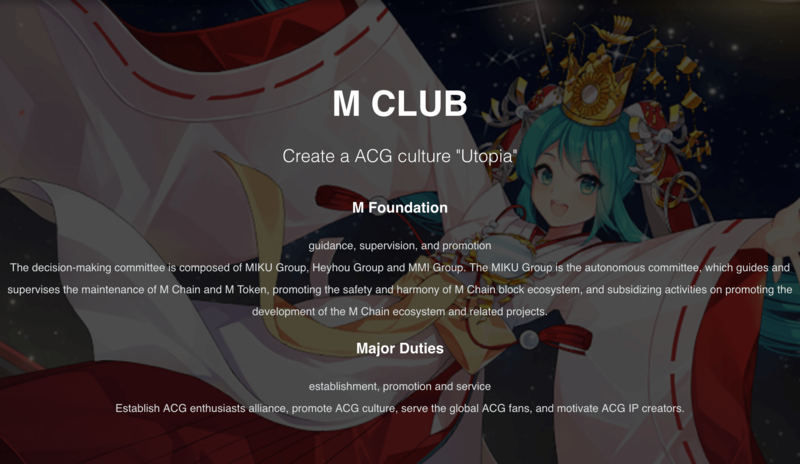 M fan foundation is a community autonomous organization of M Chain with a mission to let more people be aware of the appeal of global Nijigen industry. It is jointly constituted by M Chain ecological members and fans of Nijigen culture who are making unremitting efforts to spread Nijigen culture and serve Nijigen fans. Hatsune Miku: The world's first Princess in center debut! A popular virtual idol that is fashionable all over the world! Genuine license from and full supervised by Japan Crypton Future Media, it is the Hatsune Miku's first music game!Break the traditional music game mode with more than a million hall-level repertoire programs on demand, super popular virtual idol assistant, and the playing method of holographic concert support, integrating music, cards and development. Let us enjoy the game fun of developing matching and fingertip music together! 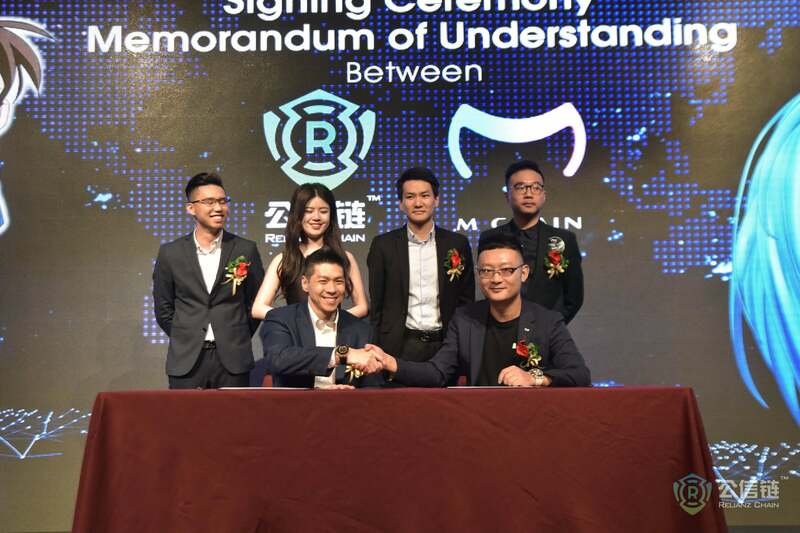 Signing memorandum between M Chain and Relianz Chain. Stronger together! M Chain joining Relianz Chain will lead to a major enhancement in the M Chain system and further expanding Relianz Chain Ecosystem. Relianz Chain continues to create value with their stable blockchain technology, penetrating the international market. Expected sold out before 2018 year end. If anyone interest can contact me. nice project, when will this ICO public?